The convenient STOPCOCK TUBE SCREW CLAMP features complete on/off and fine control settings with enough accuracy to replace stopcocks in many pump applications. 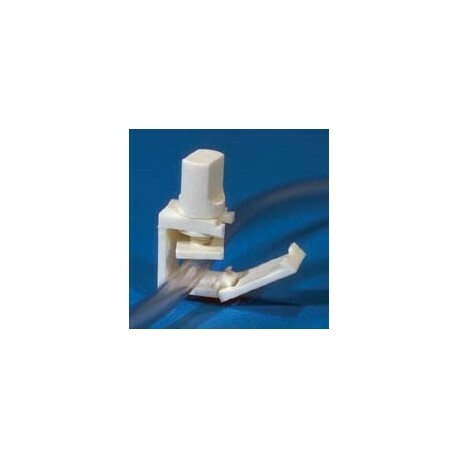 Hinged side permits installation of clamp without disconnecting tubing from apparatus or interrupting operation. Constructed of durable Delrin acetal homopolymer. Easy to clean, autoclavable and highly resistant to alkalies, weak acids and organic solvents. 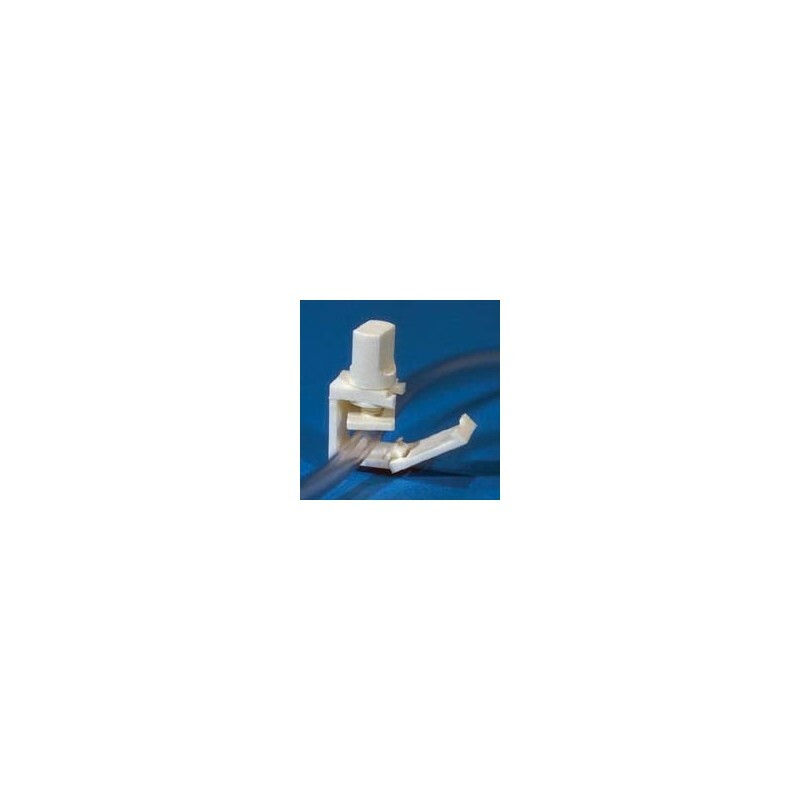 Accepts any type of flexible tubing up to 1/2" O.D. (12.7 mm).